CompoTech increase the performance of your product. 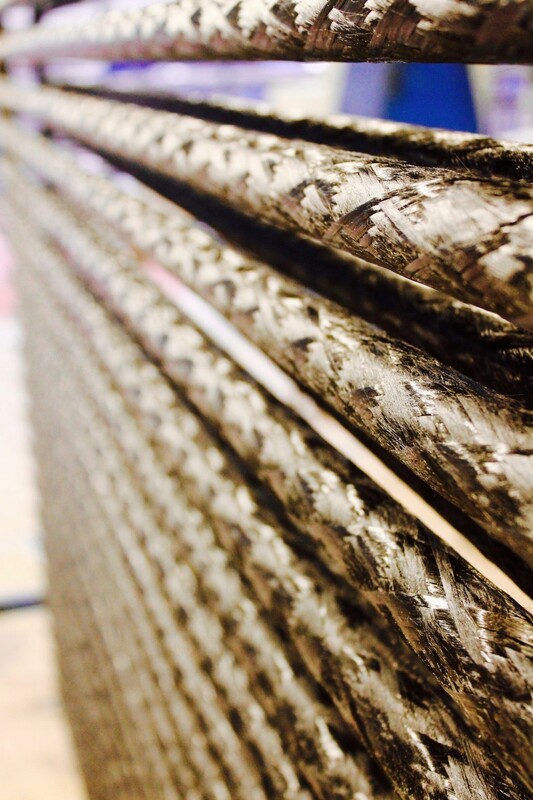 Our skills are stiff and strong composite beams and tubes from initial consultation, through the design and development, prototype manufacturing to mass production using our own fiber placement technology. We are specialists in optimizing composite structures down to individual fibers, we can design and calculate dynamic applications, ie custom frequency and damping. The experience gained in machine building and automation is utilised in other industries such as defense, transport, agriculture, cycling, and leisure marine. We deliver critical components for key players in many industrial sectors. Our capabilities are focused around our people and our process. The key to our success is being able to design with a complete understanding or our manufacturing process. Our manufacturing process has been developed in-house over the years to meet the requirements of the many projects we have undertaken. Creating both product and process means that our engineers know both the strengths and limitations of the process and can respond to project requirements appropriately. These capabilities mean that the most efficient use of material and manufacturing process has been developed. This is termed “whole composite solution” – a laminate designed specific to the customer needs according to our process. Since 1995, CompoTech has grown from two men winding carbon fibre in a garage to where we are today. The company has continually developed the production process as well as improving design methods and adapting to new materials. CompoTech has changed in size and setting but is still recognised for its core process and dedication to innovation, development and quality. Looking outward, the same values prevail encouraging ideas to challenge the norm and to look for new and niche opportunities. When looking inward we give our employees opportunities to develop and consider them all part of the CompoTech family. See CompoTech’s historical timeline ….